Extra Judicial Killing: One Killed in 'Shootout'; Spot: Shyampur upazila of Satkhira. 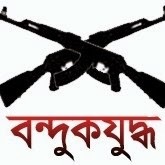 One Killed in 'Shootout'; Spot: Shyampur upazila of Satkhira. By Bangladesh Media; One more killed in Shyampur upazila of Satkhira . Yes, as usual the deceased was called as an alleged robber, who was killed in a 'shootout' with police in Shyampur upazila of Satkhira early yesterday. Deceased Ashraf Hossain alias Ranga was the ringleader of a robbery group, locally known as Ranga Bahini, reports the Daily Star's Satkhira correspondent quoting Sagir Miah, officer-in-charge of Shyamnagar Police Station. Ranga, son of Fazr Ali of Kurikaunia village in Ashashuni upazila, was accused in 20 cases filed with Koyra, Shyamnagar and Tala police stations, the OC said. A team of Shyamnagar police started for Pakhimara village, adjacent to the Sundarbans, with a speed boat around 12:30am after receiving information that Ranga was holding a clandestine meeting with his associates there, the OC said. As the team got down from the boat at Pakhimara around 4:00am, the gang members opened fire on the law enforcers, prompting them to retaliate with bullets, the police official said. Police recovered the bullet-hit body of Ranga when his cohorts managed to flee the scene with a trawler through Kholpatua river after a 15-minute gunfight, he said. Ranga was declared 'brought dead' around 7:30am when he was taken to Shyamnagar Upazila Health Complex, said Nazrul Islam, a doctor of the health complex.